Are you an event professional or a meeting professional who is looking for an in-depth post about top event management apps for your next event? If so, you’ve come to the right place. Let’s kick things off with the Event Management App Hall of Fame. These are the event apps that, in my opinion, have risen to the top. In some cases, I’ve been provided a discount to give these apps a try. In other cases, no discounts were provided. In all cases, I’ve tried to provide a concise, sensible analysis so that you can get a clear picture on which might be best for you. I’ll keep updating this post as I have the opportunity to use more and more of the apps. In the meantime, let’s get started, shall we? 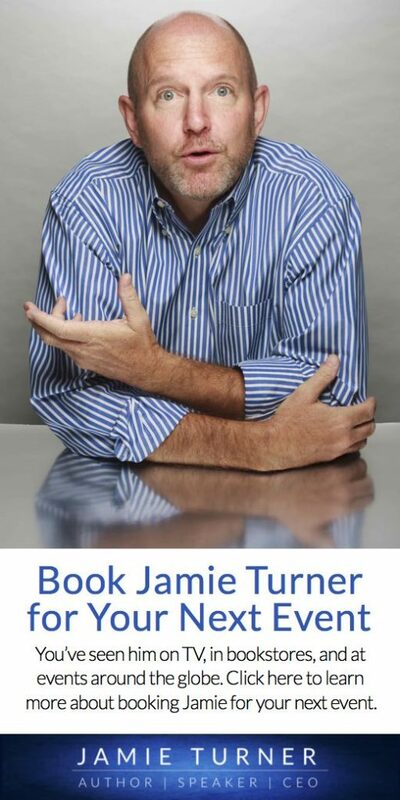 As a speaker, my #1 priority is to break down the barrier between myself and the audience. It’s probably the most important thing I do since having a dialogue with the audience is much more fun than simply having a monologue. The problem is that I sometimes speak to audiences of 2,000 or more people so it’s hard to have a conversation with them. That’s where Glisser comes along. It’s a very robust platform that allows me to interact with the audience. People can see my slides on their smartphones and can take notes and tweet their favorite slides to their followers. (The system prevents the users from seeing slides you haven’t presented so nobody gets ahead of you.) You can also embed live polls, answer questions, and analyze data about audience engagement after the speech. Glisser isn’t cheap, but if you’re looking for a robust platform, this one works for both speakers and event professionals. This is another event management application that has a ton of bells and whistles. It’s pricey, but allows organizers to manage meeting set-up, streamline their workflow, help attract participants, and build strong communities. They offer a variety of different versions of the platform. Evenium Net is their registration platform and Evenium OnSite is their entry management solution. But that’s not all — they also offer Evenium ConnexMe which is the first mobile event app focused on interactivity, sharing and networking. They even provide ways for remote attendees to connect and interact online. Evenium comes highly recommended from my friends who are leading experts in the event management field. The cool thing about Sli.do is that it’s a less expensive alternative to some of the other platforms on this list. They provide one-time usage options so that you can take it out for a spin without investing in an annual plan. (The other platforms on this list provide a similar benefit, but I get the impression that Sli.do works a little harder to make their platform accessible to people without deep pockets.) There’s a lot to love about Sli.do — the user interface is clean and crisp, and they have plenty of helpful tips on their website. If you’re looking for a rock solid platform that’s a little easier on the pocketbook, then Sli.do might be just what you’re looking for. Okay, now that we’ve reviewed the Hall of Fame winners, let’s take a look at the other apps that made the list, shall we? Event app is a cutting-edge mobile technology powered by 10times that gives event attendees the perfect experience. It has everything event organizers need to engage & connect with attendees, and everything attendees need to remain informed and engaged at the event. Actigage helps attendees stay informed with the latest updates at conferences and events. This is a beautiful and modern mobile app that gives detailed profiles of sponsors and exhibitors, and also provides instant feedback to attendees about their favorite speakers and sessions. Event apps are designed to be customizable and flexible enough to accommodate the brand attributes. This ensures that attendees receive a seamless brand experience. Delegates are more informed and engaged when using the app, particularly with the beacon messaging feature. ActivTouch is a mobile platform especially used for the largest and most demanding conferences and trade shows. The app connects attendees and exhibitors connect online, on the go and on site. ActivTouch helps participants prepare ahead of the event, stay on track while onsite, maximize their time and achieve all their goals. Apps that create an agenda for any event without IT help. Once the schedule or agenda is created at one place, it can be embedded to show anywhere. Event managers use Agenda Panda for both single day and multi-day events. Agenda Pop is a customized mobile app for conferences and meetings. It has an easy-to-use interface, with live chat, instant polls, surveys, and many more features. With superior customer support, it offers best value for event budget. Custom branded event mobile apps for conferences, corporate events, tradeshows and exhibitions. Powered by a cloud based platform to create private social communities, Carrot’s unique focus on interaction and experience design is helping events create a new level of engagement and personalized experience for attendees. All In The Loop can quickly and easily create apps for all types of events ranging from conferences and exhibitions to internal corporate meetings and fundraisers. Build fully branded secure networking apps with a host of features, including in app messaging, auctions, presentations, agendas, surveys, advertising banners, contact share, and much more. No coding skills needed. A leading turn-key, best-in-class mobile app for music, food, conference, and community-focused events. The platform boasts multiple features from schedule sharing, festival map GPS localization, to the newly introduced Beacon initiatives — a state-of-the-art implementation that enhances attendees experience and provides unique insight into their behavior. A powerful mobile app for events with all the information attendees need. Conference materials, speakers’ information, presentation details and sponsor information can all be updated dynamically and accessed by attendees on smartphones, tablets and laptops. It can also include powerful networking tools so visitors can get even more from the event. Appendee conference app get attendees more involved than ever. Appendee makes sure people are informed, connected and part of the event. Next to the essentials of what an event app should provide, we offer audience response, an interactive bulletin board, networking and push notifications. An app that runs interactive live Q&A session at events, where participants can anonymously ask questions from their phone or PC and vote for questions while the event leader is answering the top voted questions. Session leaders get to engage their audience and answer the most important questions the audience has on their mind. The budget app has the full conference program with abstracts; venue information; social media and much more. It’s branded with the event’s icon, splash screen and colors, and can include online voting, questions and feedback forms, and has full support. This app offers high-end functionality. It’s a complete replacement for a traditional printed conference guide, but with additional features such as a personal agenda, note taking, maps, social media, messaging and much more. This app has scope for additional content and a more complex structure, and the functionality can be adapted to meet specific needs. It comes with free abstract management, reviewing and delegate registration. A cloud-based marketing automation solution for corporate event managers and teams. A modern, feature-rich event management software that enables the management of events of all types and sizes. The app is a great fit for event marketers with a portfolio of events, event teams looking for time and resource optimization, and enterprises with multiple business units and decentralized event teams. Attendify empowers event planners to build and manage exceptional event apps that engage and inform attendees. It will enable companies to boost engagement, gather data, surface insights, and improve their events, and attendees to view profiles, messages, photos and network. B2meet is an online software for event organizers and provides a matchmaking tool to improve business networking among attendees. It also helps customers to better attend events and effectively manage their business appointments. Beekast is an innovative web app that facilitates interactive presentations for meetings, seminars, confcalls and training sessions. The app allows instant access to comments and contributions such as polls, quizzes and surveys created by the speaker or event organizer for participants to respond and interact during the presentation. All contributions can easily be projected by the speaker on his or her smartphone. Bizzabo is the world’s first event success platform. It helps organizers create successful events by empowering them to build amazing websites, sell tickets, grow communities, go mobile and maximize event experiences – using a beautiful, user-friendly platform. The mobile app is used by thousands of conference organizers from around the globe. It’s available online and across iOS and Android devices. Blisps is a beacon software application company that provides complete technological and proximity business solution, which we have used to develop applications. The beacons provided are suitable for both permanent and temporary installations for events, festivals, etc. The apps help event organizers gain valuable insights into visitors’ behavior. Boabee offers a lead retrieval app for exhibitors at fairs and events via the organizer. Event organizers can lift their events to a higher level, gain insights into exhibitors’ behavior, and boost the event experience of exhibitors with improved lead quality, sales acceleration and a higher ROI. Boomset is an integration platform of apps & services that improves on-site event experiences with powerful event software solutions. Rather than providing each and every service, the software tactically works with strategic partners to integrate all the essentials that are needed. Boomset adds an element of ease and efficiency at events useful to event professionals, their clients and attendees. Conference planning is a nightmare for both novice and an experienced event planning professional.. With its all-in-one solution, BusyConf makes it easy for first timers or seasoned pros to run a conference. From collecting proposals to collecting money, planners can manage an entire conference without any help from IT or webmasters. BusyConf is the go-to solution for planners to make life easy and make conferences successful. CHIME is an award-winning event app developed by Concise, who are the global event experts with focus on maximum audience engagement. CHIME can be configured in over 80 different ways to ensure event audience get the most out of an event. ChirpE is a mobile and social networking solution for attendees of conferences and trade shows as well as companies exhibiting at expositions. Attendees can create personalized agendas, access real time floor plan, and leverage networking features. It strengthens events through meaningful experiences, wows audience with memorable interactions, and also provides higher ROI to exhibitors and sponsors. ConBop is a premium all-inclusive mobile event app for trade shows, corporate events, festivals, and much more. It is designed to engage users, create community and increase participation through a robust, feature rich platform. Offered as both off-the-shelf and white label model, it’s scalable and customizable to fit events of any type and size. Whether its attendee engagement, sponsorships, or a tighter control on administrative duties, ConBop has is all covered. Conference Compass, pioneer in event mobile apps industry, provides powerful event and society apps to keep attendees and organizers fully informed and engaged 365 days a year. These apps needincrease engagement of the audience, and offer true knowledge sharing and communication platform that functions not just before and during the event, but also beyond the event. Core-apps is the leading mobile app and event technology platform for the trade shows and event industry. It provides event technology to over 50% of the top 250 trade shows and is the only company that offers EMS, Mobile, Wayfinders and iBeacons as 4 tier-one solutions. The company works with both small and large events and shows such as CES (Consumer Electronics Show), the NAB Show (National Association of Broadcasters), The NAMM Show (National Association of Music Merchants), DragonCon, and E3 (Electronic Entertainment Expo) and corporations such as IBM, Choice Hotels, and EMC2. These wonderful events apps developed by Crowdcomms use technology that reduces costs, saves time and delivers outstanding results. The easy to use CMS enables to tailor the app as per need. With the interactive app’s personalized agenda, audience would feel that the event was curated just for them. The app offers a sophisticated range of in-app advertising thus boosting the ROI of event organizers as well as sponsors. The also app allows attendees to connect with each other and message via our one-to-one chat platform. CrowdCompass is Cvent’s mobile event app technology that provides attendees rich engagement opportunities, alongside key content before, during, and after the event. These apps provide attendees interesting content and power face-to-face connections thus fully engaging the attendees. These apps have built-in security and privacy control to secure sensitive control. CrowdLink is an easy-to-use networking application designed for attendees of Connect Space Events. It allows attendees to connect with each other and communicate via phone and/or email. Attendees can connect before, during, and even after the event. Through the app, attendees build a profile to find attendees with matching interests, communicate with connections, and create notes to remember key details about potential connections. Crowdpurr is an advertising-technology and design studio specializing in cutting-edge mass-interactive experiences for live events. When traditional advertising methods are growing more and more obsolete, Crowdpurr leverages companies to advertise and reach out to their audience through fun and innovative experiences at their live events or in public spaces. It supports a variety of events, including corporate specialty events, product launches, premieres, sporting events, concerts, music festivals, theme park installations, walk-up interactive advertising, etc. Audience Response Apps are simple, effective and affordable audience engagement tools, making it easy for speakers to canvas audience opinions, gauge reaction and gather insights. A versatile addition to events, Audience Response Apps can be accessed on any web-enabled device and are tailored for use in all meeting types. From crowd-sourcing top questions for Q&A sessions, to collecting instant feedback via live polls and sharing presentations with audiences in real-time, these apps maximize live audience interaction, in the simplest way. Collaborate App is created as a technology platform to enable interactive events to happen with greater efficiency and more effectively, in larger groups and with more aligned outcomes. The app facilitates networking through participant profiles and messaging, supports learning through slide sharing with note-taking, and supports the event organizers through sharing meeting content, personalized agendas and in-app alerts. Event App is a powerful tool, helping create truly memorable events where delegates gain insight, contribute to the discussion, and have opportunities to network with their peers; thus truly optimizing their experience. 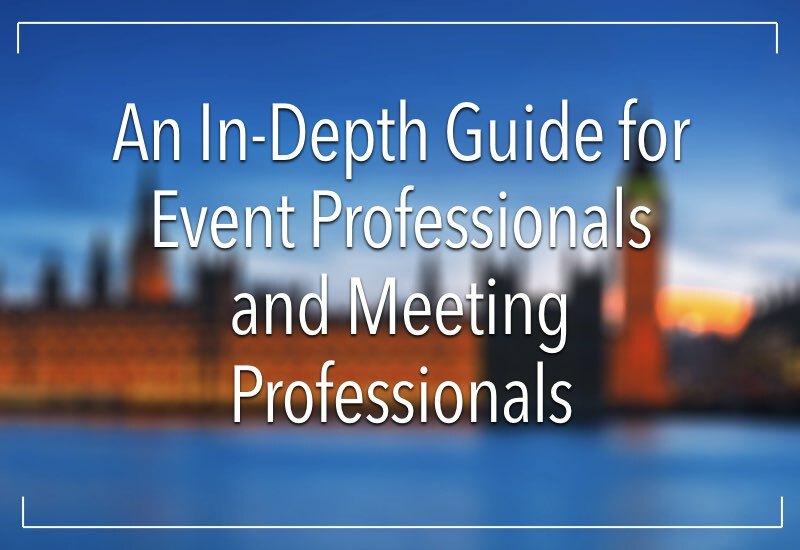 The app creates a comprehensive, interactive guide to support events, giving delegates all the information they need in the palm of their hand. Audience engagement can also be achieved by empowering them to interact, participate, network and more, all from their own device. Delegia Mobile can present all the event content in the mobile phone. From the agenda and seminars, to maps and tickets or interactive elements booking meetings, polls and twitter feeds. Digivents mobile apps are easy to use, useful and interactive, which are the keys to events’ success. These apps use the latest technologies to make the organization and management of events, congresses and trade fairs easier and more practical, granting a high quality experience to everyone involved: from the attendees to the speakers, from media to sponsors. DoubleDutch creates mobile applications designed to capture and surface data from live events and conferences. The apps connect attendees to the right people, content and sessions. The DoubleDutch Live Engagement Platform has powered events, conferences, and trade shows for more than 1,700 customers, including Forbes, Humana, LinkedIn, Novartis, Nationwide, UBM and Urban Land Institute. Duuzra mobile apps are great for any event, meeting or presentation. These maximize the value of events by creating an interactive and engaging experience for the audience. Developed to provide businesses with the features and flexibility to meet a host of requirements with a single tool. The EE-EventHub is a personal guide for the event attendees. They can plan their day and explore sessions and speakers, and they can even create their personalized event agenda to easily find out where to go next. The attendees can have a great engaging experience by joining discussions, sharing phots and experiences, and networking with other attendees. Engage is a mobile app developed by Experient for trade shows, conferences, associations and events. The app offers features to leverage the event experience and create networking opportunities. It provides attendees the ability to search event sessions and speakers’ profile, create customized schedule, connect with favorite social media websites, increase networking opportunities, identify favorite sessions & speakers, etc. Event Rebels’ ERMobile is a mobile app for conference attendees designed to enhance any trade show, event, or conference. This trade show mobile app is what attendees need to navigate event to their greatest advantage. ERMobile app is customizable and can be built to suit individual needs. Evenium brings to life a revolutionary way to interact in real time with content and people during events, conferences, meetings or trainings. Evenium ConnexMe combines the best of mobile and social networks to provide an amazing event networking and interaction experience. Events 365 is powered by Ticket Evolution. It offers travel agents unprecedented purchasing access to exciting live events such as concerts, sports theatre and more across North America. With over $2 billion worth of inventory running through the platform, it’s hard not to take client’s vacation to the next level. Event App by Lumi is a complete exhibition, conference and meeting app, allowing companies to create the most meaningful and valuable event experiences. It enable attendees to fully participate in the event; from accessing their personalized schedule to engaging with detailed event and exhibitor content, all with integrated social media. Directly connect with audiences in event sessions with live polling and discussion, view results and feedback instantly. event2mobile (e2m) is a leading secure mobile app platform for enterprise events and conferences. It’s used by both Fortune 500 companies and the largest associations to drive engagement in their internal and external events and conferences. e2m is helping the world’s leading banks, financial services companies, government bodies, associations and Global 2000 companies to use mobility as a disruptive force to drive powerful engagement and learning for attendees and employees. EventApp360 is a system for event organizers to create their own app for their event. It offers many functional modules. An online editor is available for configuration and maintenance of the content. Basic system has numerous premium class modules, including barcodes, extensive branding options or mobile sponsorship for refinancing, etc. Additional features such as an interactivity module for live voting or networking features for participants can be ordered on request. Eventbase is the leading mobile technology platform for events. The Eventbase Platform is uniquely positioned to meet the needs of global enterprises. Eventbase delivers visually-rich and engaging mobile event apps that can support the entire portfolio of conferences and meetings that an enterprise hosts every year. Eventbots by Sciensio is an AI chatbot platform designed specifically for the events industry. It allows attendees to text questions and get answers wherever, whenever and on whatever device they choose, without the need to download an app or learn a new system. The conversation design and AI technology combine to deliver exceptional attendee support and a superior event experience all while saving event organizers’ valuable time and money. Eventdex Event App provides attendees with information such as schedules, location maps, exhibitor lists, speakers and seminars. They can view speaker bios, social media profiles, videos, event documents and other attachments. Seminar schedules and descriptions can be managed with the agenda feature. Users can send out event surveys during pre-registration to gather demographic data. Email notifications for exhibitors, attendees and speakers can be customized for specific events. myQaa is an event mobile app providing event planners an all-in-one cross-device tool for their organizing, engagement management and reporting needs, throughout the lifecycle of an event. myQaa adds a depth of engagement to events by increasing interactivity with and among delegates through their smartphones/tablets and enhanced performance by retrieving metrics and data, delivered in comprehensive infographics. The EventEdge system aims to change the event experience for both organizers and attendees by leveraging mobile technology. With EventEdge, organizers can easily share event information, create social interaction and gain valuable data while saving money and hassle. For attendees, these apps provide a simple, convenient way to navigate the event, interact with other attendees, and stay updated, all from an always updated mobile device. Eventer is a free mobile app that allows event organizers to create an event, invite their guests, and share photos with them. Event organizers need to gather pictures of their event, create branded content, and have a fun digital animation at their event. Eventer offers a solution to these problems. With Eventer, gather all the pictures of the event instantly in one place, display them live on a screen, and manage them from phone and computer. Eventfuel has a host of web and mobile based apps to help corporate event planners to engage and interact with attendees, and to get the big data they need to optimize the ROI of their events program. Eventfuel platform gives the ability to create a ready-to-use event app within an hour in an easy to use and intuitive way, and manage content on the go. With Eventicious, event organizers can create mobile apps for conferences, trade shows and other events quickly and at a fraction of the cost. These beautiful apps deliver schedule updates and news in real time, and engage event attendees with real time polls and Q&A sessions. EventMobi makes it easy for event planners and marketers to create their own mobile event app for their meetings, conferences and trade shows. EventMobi offers powerful tools like live-polling and attendee-to-attendee chat, thus improving the event experience for both attendees and planners alike. With the recent addition of event registration, EventMobi now offers a full suite of integrated event technology making it simple for events to cut costs and be a success. Eventpedia offer a suite of mobile event apps that eliminate the need for traditional program guides by providing all of the event content on the mobile device. With these apps, view profiles of speakers, sponsors, exhibitors and attendees, take notes, create personalized schedules, and much more. EventPilot is an event app which is purpose built for large and complex meetings; it has features and functionalities specifically designed for events with 1,000 – 40,000 plus attendees. Event planners for associations and scientific and medical meetings will be particularly interested in its capabilities. eventpowwow is a unique combined app and microsite that lets event organizers give delegates all the info they need, quickly and easily. The app makes sure that event delegates have all the information they need before, during and after an event. Registration, agendas, maps, speaker bios, event diaries, pre-, in- and post-event comms is just some of that information. Not surprisingly, more and more event organizers are turning to specialist apps like eventpowwwow to make the whole process easier. eventScribe App is best for educational meetings, trade shows, and conferences. Note taking in sessions, surveys and evaluations, floor plans, and social networking features make eventScribe the most robust app in the market. Attendees can download eventScribe Event Apps on Apple, Android, or use the mobile responsive version on their laptop or Windows phones. Eventsential mobile event app provides 360 engagement, generates revenue, fully customizable, and provides attendees with a personalized dashboard. With this app, attendees can take advantage of features that’ll help them make the most of their time and keep them informed about the latest event happenings. Eventsforce Mobile is an app that helps attendees to get the most from their event experience. It empowers them to connect and engage with other delegates and suppliers, elevating their networking effectiveness to new levels. It maximizes their learning experience through easy access to event schedules, speakers’ profiles, blog feeds, surveys and live polls. Eventtia is the “new generation”​ event management platform for trade shows, fairs and exhibitions. These most modern cloud-based and mobile solutions are developed to help make exhibitions successful from start to finish. This technological innovation promotes events with beautiful white branded web pages, registers participants and manage exhibitors online, helps exhibitors create meaningful business opportunities, and helps organizers stay in contact with attendees with mobile apps push notifications. Eventtus is an engagement platform for events and the leading event app provider in MENA. This is an interactive event app for attendees networking, sharing agenda updates, and speakers’ bios. Eventtus powers the top conferences and exhibitions in the region, working with clients like Informa, DMG Events, Dubai Expo 2020, ArabNet, Step Conference and many more. evenTwo is a platform that enables conference and event organizers to create and manage customized mobile applications for their events, conferences and congresses. These apps are built natively for Android and iOS providing complete event information, push notifications and geolocations tools. These have the option to create private event conversation walls for attendees at the event and also for specific sessions. Quizzes and challenges can be created to test attendees learning. EventXP can help create business event app and engage attendees. This iOS and Android native app is not restricted to a single event: through multi-events long-lasting relationships can be built with attendees. For International level events, multilingual management is offered for the attendees. EventZebra is the app for business related events such as conferences, seminars or professional meetups that allows attendees to network more effectively with other attendees. ExpoPlatform offers a suite of online solutions for the events industry. The app can be used for registration, attendee management, matchmaking and networking, appointments and personal calendar, conference/session/speaker management, interactive floor plan, user-friendly social media type of networking for attendees (delegates, exhibitors/ sponsors/ speakers ), and much more. Fanbot is a messaging bot that can be built without any coding and offers a new method for marketing, sales, fan engagement and enhanced interaction. It offers a full conversational commerce experience and solution for business large and small. Festivality is a platform technology for festivals and events to adopt smarter next-generation mobile apps, gain new revenues and actionable event and fan analytics. Festivality digitizes live events and turns them into actionable data. The platform comes with a suite of mCommerce tools and one-tap mobile payments integrated to deliver value for the wide ecosystem around live events (promoters, sponsors, merchants, vendors, artists). Gather Digital is a leading provider of mobile app software for conferences, meetings and events. Gather Digital has provided apps for hundreds of events and delighted hundreds of thousands of attendees and members. Gather Digital’s mobile app suite and content management system serves a wide range of clients: from many of the major financial and banking institutions, to large technology firms, to state associations and smaller member organizations. Glisser ‘socialises presentations’ through a simple app. Presenters or event organizers can push slides to audience devices one at a time as they are presented. Attendees can then write on them, mark them up and take them away just like a printed slide deck, but in electronic format. 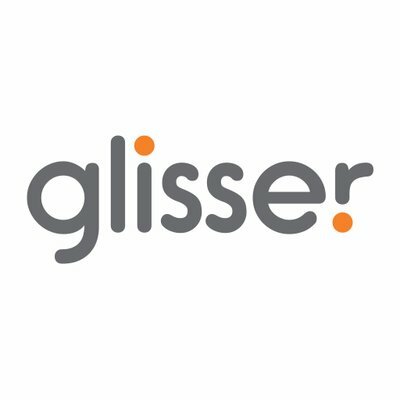 Glisser also integrates slide-by-slide ‘like’ voting, audience questions, Twitter, as well as polling and feedback slides integrated seamlessly within the original deck. Glisser is one of our Hall of Fame winners. Goomeo is a creative platform that offers event guide along with networking and live interactions in a single app. Goomeo works equally effectively on Apple, Android and Windows devices and is focused on trade shows, exhibitions, conferences and corporate events. This event mobile app has some interesting features which differentiate it from other providers, such as the branded selfie tool and audio note taking. Grandstand offers powerful, unique, branded and inexpensive event mobile app to enhance the experience of their attendees. The high-quality apps can be used for all sizes of events and go way beyond what could be provided by a mobile-friendly website. Grandstand has built apps for large state fairs, worldwide conferences, large youth rallies, and even small users conferences. An event mobile app for attendees and participants allowing organizers to provide timely conference information, documents, information, and other useful tips and references. The app presents event schedule on a day by day basis, enabling attendees to easily search through the event program and presentations. Schedules and schedule updates are published in real-time to always see the latest information, including last-minute room changes and adjusted start times. Grip is the first AI powered event networking solution. It helps attendees and participants meet the right people at events and enabling to chat and meet them in a fast and seamless way. Using advanced algorithms in combination with real-time learning from every interaction, the app recommends the most relevant professionals to meet and constantly recommends whom to meet next. Guidebook is a web interface enabling organizations to create mobile guides for their customers. The apps are built to operate on Android and iOS, and are developed for events (conferences, trade shows, conventions, corporate training, etc. ), enterprises, museums/aquariums/zoos, community centers and campuses. Guivent allows access to multiple events from a single app, enhancing the experience to access all updated and information in one place. Receive real-time notifications, see the agenda and bios of speakers, social networks, polls and surveys, and much more. HelloCrowd provides a super simple, easy to use, online platform for event planners to build the most awesome mobile apps for their events. The apps come with multiple features for the attendees, including incredible insight into the event, networking and social tools for event to shine long after it’s finished, fast access to the information that matters and engage with in-app messaging, live questions and instant documents sharing, making attendees meet the right exhibitors & sponsors, etc. The InEvent App lets the attendees interact, engage and participate in an event. They will be getting constant information, news and promotions. They can search whenever and whatever they need with regards to the event, all within the same app. The attendees can view agenda of the event in real-time, talk with other participants to schedule meetings and send instant messages, share photos, videos, insights and more in an exclusive social network of the event, and much much more. ITM Mobile stands out as a leading innovator among event technology providers. It is the first to launch indoor positioning and location based Beacon engagement for events, and one of the first to develop conference apps. ITM Mobile is uniquely positioned to provide incremental revenue generating possibilities for venues and event organizers and never-before-available data and interactive solutions for sponsors, exhibitors, advertisers, participants and other stakeholders. Jublia Suite is a collection of carefully crafted intelligent, integrated and specialized technologies for B2B events; each of which are built to bridge the gap between online intent to offline dealings, resulting in measurable ROI for the event. The suite weaves together 12 specializations, tightly integrating them across our four state-of-the-art platforms. JUJAMA develops cutting edge mobile applications for conferences around the world that bring attendees together before, during and after an event. JUJAMA creates a community around conferences, allowing attendees to network, tell their stories, set up meetings and manage contacts. JUJAMA works with conferences of all sizes and across many industry sectors, including travel, healthcare, banking, payment processing, biotech, pharmaceutical, marketing and consumer. An intuitive application that fits the brand’s image and the needs of event visitors worldwide. KAYO is customizable as it adapts to the needs to better adapt to the visitors. With KAYO one can change qualification forms or change question types to suit the event and the attendees. A real added value addition to an event. Lineupr is a web platform that offers a fast and simple way to self-create mobile event apps. It takes just minutes to create a ready to use event guide that communicates the event to the attendees. LOOPD is a user driven mobile app for events. It lets attendees discover others nearby, and keeps a record of the time and location of where they made each connection. Attendees can navigate the event with ease by using an interactive agenda and map. In addition, attendees can enter games at the event and they can view their progress with LOOPD. LOQUIZ is a team game platform for professionals, which is used by event companies, outdoor companies, schools, and by others who need to quickly create cool location based games. LOQUIZ app is intended for playing these games. Games are made in the web. Magency is an event and meeting mobile app that turns these events into interactive experiences Magency Solution is a collection of activities on every device that boost interactivity, collaboration and performance, regardless of the size of the group and a 100% customized interface to make messages more impactful. Meet is an event app to connect businesses and build relationships. Every big event requires a great deal of work to gather the most relevant decision-makers and trendsetters in the field under the same roof. Attendees can use this tool to indulge in targeted networking instead of mingling in the crowd. MeetApp is an event app to access event agenda, speakers’ profiles, practical information about relevant meeting and a lot more. Answer and ask questions, network with other participants and see social media feeds from the event. MeetingPlay is a mobile event app provider that develops intuitive, engaging and information-rich solutions infused with innovative technology, providing experiences that everyone will be talking about. These meeting and event apps ensure impactful connections between attendees, content, and overall meeting goals using technology to enable more powerful, meaningful networking. MeetingSift – a meeting collaboration platform – delivers deep, actionable insights from meetings across the enterprise. By combining collaborative tools, artificial intelligence, and data analytics, MeetingSift offers an enterprise SaaS platform that empowers decision-makers with deep insights directly from the front line, in real-time. MeetMatch lets attendees develop exquisite networking at events without any hassle. Its patented artificial intelligence analyses the personal profile of the people and the companies they work for, and brings the right people together. Participants are matched in real time. MEETOO is a simple single-minded solution for vibrant, engaged and exciting meetings in the Smartphone age. Meetoo can be accessed on any device and is transforming training, classroom and workplace engagement worldwide. Mooveteam is a professional app that provides organized team-building events led by iPad and iPhone. It organizes digital activities for its users that help them to define a creative and innovative event. The platform is capable of preparing event activities, detailing equipment, uploading, and adding prizes. Mooveteam is a real-time event organizer that develops online testing, consulting teams score, recognizes its GPS position, and interacts with GPSs. MoozUp is an event networking app for attendees to network better and for organizers to relay info in real time. It comes with many features, including manage real-time agenda, live polls, surveys and Q&A, chat with delegates who attended events, schedule meetings, and announcements & notifications from the event organizers. MyEventApps is a guide to major events such as festivals, conferences, conventions, corporate events, charities, sporting events, touring and other major events. Event organizers can create their own event listings through a simple online dashboard and publish it within MyEventApp to share key information with attendees. Networkapp makes connecting in a targeted way very easy. There’s no need of a paper event program anymore as the program can be found in Networkapp. One can also create own personal program and quickly read recent updates and new questions. The app remains valuable even after the event as one can always go back to the acquired contacts. Nodily is a networking platform for business people, which allows them to spot, invite, and meet each other at conferences, tradeshows, etc. Its state-of-the-art platform lets one to check who’s at the event or venue, filter the results by interest, sector, country, or keyword, and initiate conversation with other business people through invitations, meeting requests, and private messaging. NVOLV event app maximizes event experience. Attendees can join and network with others easily. They can create their own networking list and interact with each other. Their personal information is always kept safe and private. Its intelligent program schedule helps optimize time and create own schedule. It distinguishes the past, future and in-progress sessions to make it easy to view and recommend what sessions to attend. Pathable is a leading provider of web and mobile event apps for conferences, events, associations and tradeshows. The apps help connect attendees, speakers, sponsors and exhibitors before, during and after the event, and measure the engagement every step of the way. PheedLoop powers conferences, trade shows, and expos worldwide. An all-in-one management and engagement platform for event managers, speakers, exhibitors, sponsors, and attendees. PheedLoop’s event app can be operated on iOS/Android and is designed to be instantly accessible, customizable, and packed with features like messaging, games, polls, personal schedules, etc. Pitch & Match is an event matchmaking tool. It helps event organizers with limited time, money and experience to ensure that business matchmaking is done easily and properly before, during and after the event. It has been used worldwide at different game events, such as PG Connects, Nordic Game, White Night, Casual Connect, QuoVadis, GIC and more. Poken provides an award-winning, full-featured, customizable event mobile app solution, so visitors can have access to all real time event information, leading to better engagement and a superior event experience. Poken mobile apps bridge the gap between the physical and digital worlds by providing cutting-edge devices as well as powerful software. Proxfinity has patented and developed technological platform that consists of a wearable smart badge that visually identifies people with shared interests, an app and data dashboards. This accelerates and amplifies in-person relationship building and networking. QuickMobile is a global leader of mobile event apps for meetings and conferences. These fully branded event apps, developed with the support of event and meeting professionals, help drive participation, meet stakeholder goals, and keep attendees happy from opening to closing remarks. Schedulehead is a cloud-based app that completely automates the process of staff-scheduling within few minutes. The app rates workers with clear 1 to 5 star ratings based on reviews. Then it uses these ratings along with seniority and other factors to schedule them appropriately. It even balances senior workers among multiple events on the same day to ensure that the right mix of staff is obtained. Shocklogic is the leader in providing event organizers, associations and societies with technology, event management software and hands-on solutions for organizing and managing conferences, events, members and contacts. Shocklogic has a solution to fit events of any size in locations globally, including award-wining mobile apps, online registrations, abstract and membership management systems, etc. ShowGizmo event app allows event organizers, presenters, exhibitors, sponsors and attendees to seamlessly communicate and interact effectively with each other, creating a better experience for attendees and providing conference organizers and exhibitors real time data to accurately measure their ROI as well as providing a ‘green’ solution that increases revenue opportunities. Slido is a technology company that enhances communication and increases interaction at events and meetings. We enable users to crowdsource top questions to drive meaningful conversations, engage participants with live polls, and capture valuable event data. Sli.do is also listed as one of our Hall of Fame winners. Socio provides an event app that surroundsr live events. It serves as a networking tool and digital event guide, taking the event experience of attendees to the next level. Additionally it gives access to all the information surrounding the events, like attendee lists, agenda, sponsors, etc. SpotMe has created powerful event mobile apps for the most discerning agencies and event owners to produce engaging participant experiences. The apps let attendees vote, submit questions, message other delegates and exchange digital business cards, schedule meetings, complete surveys, create personal agendas, etc. Superevent offers a complete mobile event. Attendee will have all event information right here in the phone. Connect to peers, chat with them and meet up. Participate in interactive sessions by voting or asking questions in the Q&A. Swapcard is ideal for business people, entrepreneurs and business developers. It facilitates meetings during professional and business events. Swapcard enhances networking among professional and helps individuals and company to manage and keep up-to-date their address books. Symposia has developed attractive, robust and easy to manage event websites and apps to best handle event-related content. The EventsCase is a multi-event app that’s directly integrated to the Content Management System of the EventsCase platform. Available features include attendees, agenda, speakers, sponsors, event feed, and the event floor map. Event Organizers looking to consolidate all their current tools under one software provider can now find the perfect all-in-one solution with the EventsCase platform. Krowd brings digital connectivity to conferences and events, pubs and clubs, retail malls or shops, campuses or offices, for delegates, visitors & location owners. It’s a Private-by-Design localized Personal Network (PN). With Krowd one can discover who’s here and what’s happening in real-time. Just connect to the Wi-Fi and co-locate with other Krowd app users on the same Wi-Fi without tracking or even knowing the location. Events bring people together. Topi is a networking app designed to quickly and naturally connect people who don’t know each other as yet. The app makes it easy to build communities that last longer by combining the best elements of networking and communication apps within a single solution. Twebcast has a cloud-based platform and is used on large number of high-end events. The app enables interactivity that enhances the engagement of participants at live events through providing a richer experience. Event participants enjoy a more active participation that allows them to make their voices heard. Twoppy is an event management solution that helps the user create a mobile app for their event. Twoppy provides attendees with relevant program details, real-time updates, floor plans and speaker biographies. Twoppy offers reporting and analytics capabilities and it integrates with third-party applications such as Google Maps. uSummit is a mobile platform that centralizes event materials, helps gather competitive intelligence and synchronizes teams in a simple, easy-to-navigate app. uSummit maximizes congress investment in many ways, including easier access to multiple events, ability to edit own profile, group modules to better organize content, etc. Velocevent is a native app and responsive web event application that offers a simple, secure, scalable, and sychronizable experience for event managers and attendees alike. Whova is one of the most widely used mobile apps by professionals for networking at conferences/ expos, business events, and community gatherings. Whova’s technology builds comprehensive profiles of attendees so one can plan in advance who to meet at an event, what to talk about with each attendee, and reach out to others via in-app messages before, during, and after the event. Zerista’s event app gives events an intuitive, interactive digital space to guide attendees through all the most important content, personalized for their needs. The attendees can match & network with other attendees, build personalized schedule, find exhibitors that match interest and post comments to the conferences, thus making the most of their event experience. The event management app industry is one that is constantly evolving and changing. As new apps come online, we’ll ad them to this list. And as some apps don’t make it, we’ll take them off. Are there any apps not on the list that you think we should add? If so, just let me know in the comments section below.